What is a "Private Judge"? A Private Judge is just that: a Judge who is hired privately by parties that need to resolve a legal dispute. In some cases, parties to a dispute would rather handle their matter privately, rather than utilize the public court system. Under California law, Private Judges are required to abide by the same Judicial Code of Ethics as Public Judges. In California, it is not uncommon for parties to use a Private Judge for legal matters like family law, contract, construction and insurance disputes. Why Might I Want a Private Judge? In many cases, there are distinct advantages to utilizing a Private Judge. First, the parties in advance of any hearing determine the role of the Private Judge. For example, the parties can agree in advance that the Private Judge's determinations will not be binding upon them, but that it is simply advisory in nature. This gives the disputing parties some idea of how litigation might result, or indicating what problems and issues will arise that may affect the outcome. This is a more uncommon approach. A Private Judge more commonly is called upon to hear evidence and render a decision much like a Superior Court Judge's final determination. Second, the parties can agree to limit the Private Judge's jurisdiction. This means that, unlike a Public Judge, who must resolve all matters before the court, the parties may elect to use a Private Judge for one or two key issues in their legal dispute. The thought is that a determination of those issues will give rise to a global settlement of all other issues. Third, the parties often agree, with consent, that the Private Judge can offer them guidance whenever necessary or appropriate towards settlement of the case. Fourth, unlike in conventional litigation in which a Judge is assigned to a case, the parties select the Private Judge they wish to use. Finally, even though the parties must bear their portion of compensating the Private Judge directly, utilizing a Private Judge will prove more cost-effective. Private Judges generally have a small fraction of the caseload that Superior Court Judges must carry, and therefore the dispute can be resolved more quickly. Typically, Private Judges have many years of training, experience, and knowledge in a specific area of the law; thus, the Judge is a legal specialist in the complex issues within his/her field of expertise. In addition, parties electing to use the services of a Private Judge can custom tailor the proceedings to their own schedule, thus having the ability to minimize disruptions to their work and personal lives. Another bonus is that using a Private Judge can aid in minimizing the need for formal pre-trial motions and pleadings, which can add tremendous cost in terms of time and attorney fees. Private Judges can assist the parties and their attorneys through informal mechanisms to resolve discovery and other pre-hearing disputes. How are the Decisions of a Private Judge Enforced? Once the parties agree to hire a Private Judge, they must notify the Court in which their litigation is taking place of their decision to take the matter to the Private Judge. The parties sign a stipulation before the Superior Court setting forth the agreement to hire the Private Judge, specifying what will be the Private Judge's role. This stipulation becomes part of the official pleadings in the case. The parties must specify by this agreement what they want the Private Judge to do. Because the stipulation and order of the Court specifically details the Private Judge's role, the parties are bound by what they have agreed to; this means that the subsequent decision of the Private Judge results in and has the same effect as if a Public Superior Court Judge had made the decision. 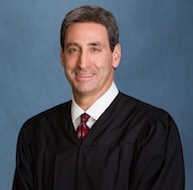 If you have a Family Law, or other matter pending, or are contemplating the filing of a Petition or complaint and you would like to know more about whether Private Judging is the best option for you, call the offices of Commissioner David S. Weinberg (Ret.) at Private Dispute Resolution Services. We would be happy to give you more information, including an assessment of how we may be able to help you resolve your particular family matter, or other legal dispute. We can help you to efficiently and fairly resolve your legal matter with a more private hearing or trial, set at your convenience, and in a more comfortable and accommodating setting than at the county public courthouse. If you would like to learn more about whether Private Judging may be right for you and your case, call us at 949-376-9933.